You go fit believe say na solid white chocolate dem take do these baby heads? Dem size na like that of real newborn’s head and na Annabel de Vetten make am. Na wetin be the motive behind this creation wey be part of the Eat Your Heart Out 2012 food art exhibition in London. John Mikel Obi wey dey play for Chelsea na em win the Sports Man of The year award for the first Nigerian Sports Awards wey dem do for Palace Hotel in Victoria Island on Thursday. Feyisetan Are na em win the Coach of the Year award, beating Edwin Okon and Ayo Bakare, while Ike Diogu win the Ball Sports Year award. Francesca Ordega – women’s Footballer of the Year award. Super Falcons – Team of the year. Folashade Oluwafemiayo – Sports Woman of the Year award. Tobi Emmanuel – Sports Journalist of the Year, Print. Cecilia Omorege of Galazy – Sports Journalist of the Year, Electronic. Former Commonwealth champion, Modupe Oshikoy – Lifetime Sports Award. 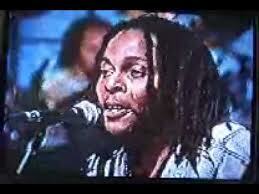 Poetry na the music wey the soul sabi to sing. 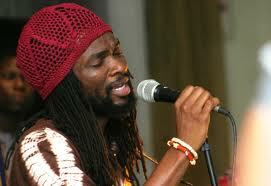 Through music, human souls dey congregate to reason together. 1st of December na this year’s Edition of the festival (Ife Festival of Poetry) and the thing dey take place for Ilesa in Osun State, Nigeria. Different Arts go perform and the festival promises to be one of a kind. 10 p.m. na the time for the show on Saturday. 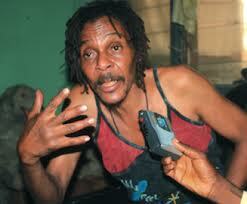 Majek Fashek dey come back…promises to promote youth…who say the guy no well? 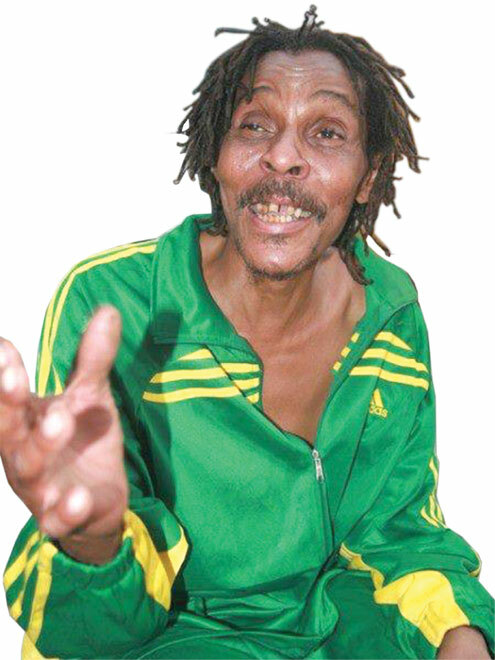 Reggae music star, Majekodunmi Fasheke wey people dey call Majek Fashek, go soon release one new album, Gangster Rasta under em Underground System Records, USR. Majek believe say this new album go revive and catapult am back to where em belong – the international scene, where Michael Jackson and James Brown dey mellow ‘that year’. 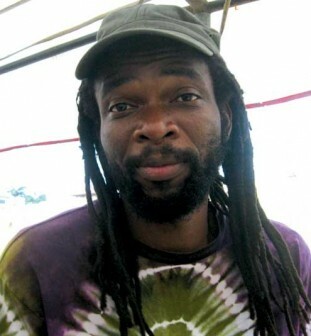 Majek yarn say USR don dey registered in Los Angeles, California and go serve as platform to nurture Nigeria’s young musicians and push them to the international market. “We intend to register the company in Nigeria as well and use it as a platform to get the youths out of the streets and criminality. I’m an American citizen. I may decide to go back there now because my wife and children are there. But I’m here because Nigerians are suffering and there is nobody to speak for them. 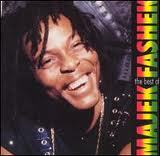 That is one of the revolutions that I’m here to make,” the ‘Rainmaker’ yarn. He also yarn say plans dey ground to precede the album release by a music tour wey dem tag Operation Feed the Poor, wey em yarn say na em little way of giving back to the society. “I’m not into materialism. The programme I’m coming up with is mainly to help the poor. But if I’m poor, I cannot help the poor, so that is the revolution I’m talking about– the rich must help the poor. 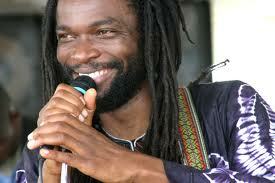 That is why I’m embarking on the tour,” he yarn. 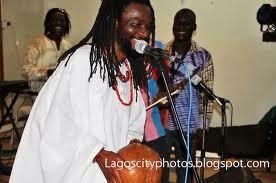 Folklore Musician Segun Akinlolu, wey people dey popularly call Beautiful Nubia, na em yarn say em potential audience in Nigeria na like 170 million people and people wey don actually buy em album fit don reach 70 million for inside Nigeria alone. lAkUnLeScReWs just like this guy. Em get vision, drive, passion and creativity. The Police Public Relations Officer, PPRO, Ngozi Braide, has confirmed that the police is still searching for controversial singer, Gabriel Oche-Amanyi, better known as Terry G, over a hit-and-run case. 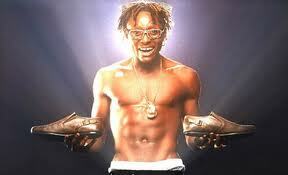 About a month ago, news yarn say Terry G jam person with em car for one Club Royale, Oba Akran Road, Ikeja, Lagos. The person wey em jam na Moshood Azeez; em crush the guy leg and dem carry am go hospital. 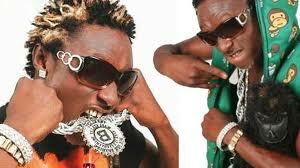 News yarn say Terry G run escape from there after the incident. 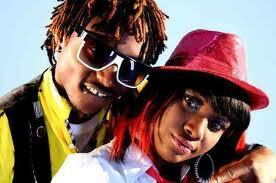 Terry G’s Media Manager, Alex Ozone, yarn say all na lie say Terry G dey on the run. Em talk say na bloggers dey try exaggerate the matter to drive traffic to dem sites. Well, Heavens dey see who dey lie. “He is not wanted by the Police. It was a minor accident but some people just want to make news out of it. He mistakenly hit the guy in question, but they sorted it out that night. He even gave the guy some money for treatment. 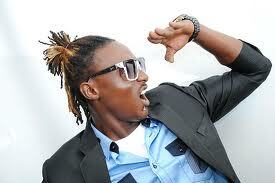 Terry G travelled to Enugu this morning (Wednesday) for a private show,” Ozone said. For the records, na few weeks ago na em Terry G madame born pikin. Interior: Cozy, well-organized living space paneled with warm, inviting wood. 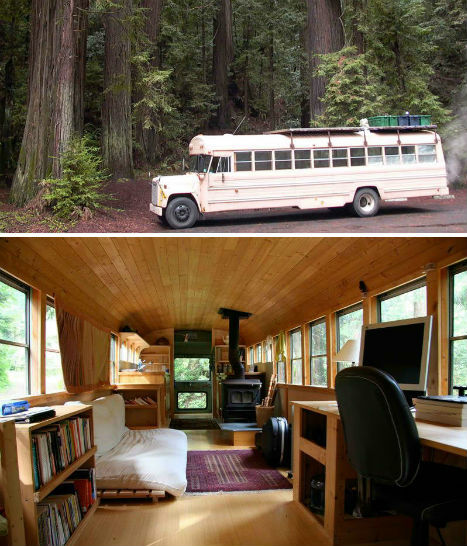 Na the home of a young couple in the North Cascades area of the Pacific Northwest. 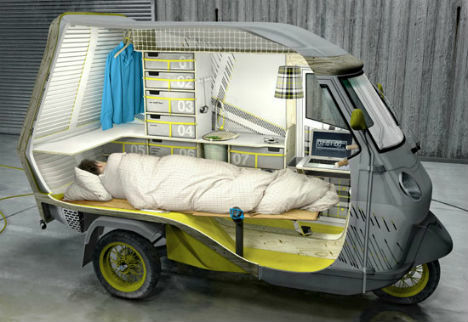 ‘Bufalino’ na apartment on wheels, e dey tiny, three-wheeled recreational vehicle wey the room just dey big enough for one person to store em belongings, lay down or make em cook meal. Wetin dey inside na bed, two seating units, a cooking zone, a basin, storage space, a water tank and a refrigerator make am be like home. 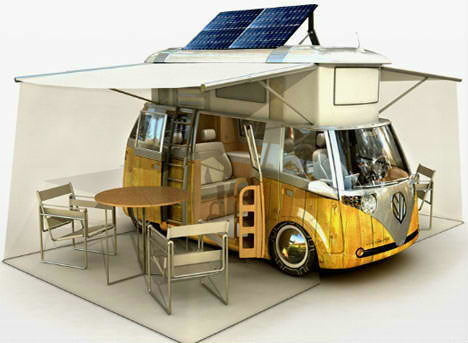 The VW bus na icon of the 1960s, wey dey use bio-diesel engine, GPS, fridge, freezer and solar power. The House sef get home entertainment center and a kitchenette wey dem build inside one of the doors. 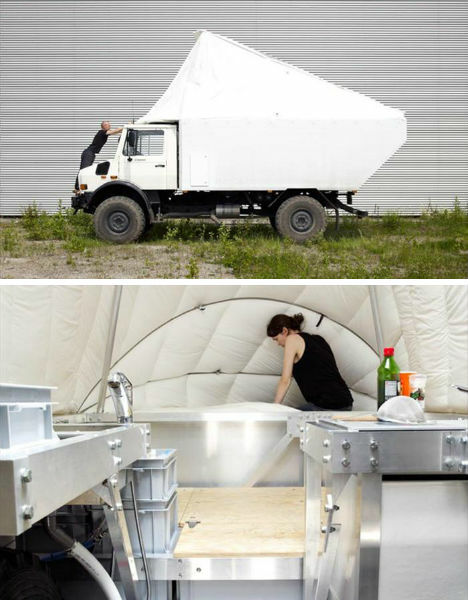 Na one Belgian couple buy this Unimog, wey be multi-purpose four-wheel-drive truck, and dem convert am into this incredible custom RV. For six months out of the year, na road the couple dey dey. 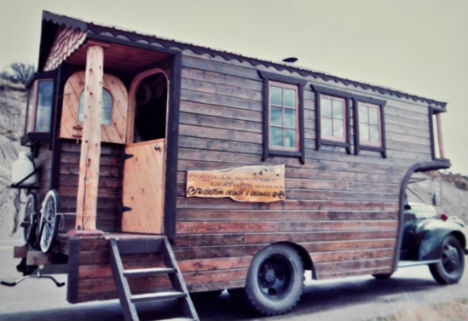 Dem dey walka around around Europe in dem modern mobile house. The remaining six months, na inside one garage wey dem convert into a slightly larger home, dem dey live. 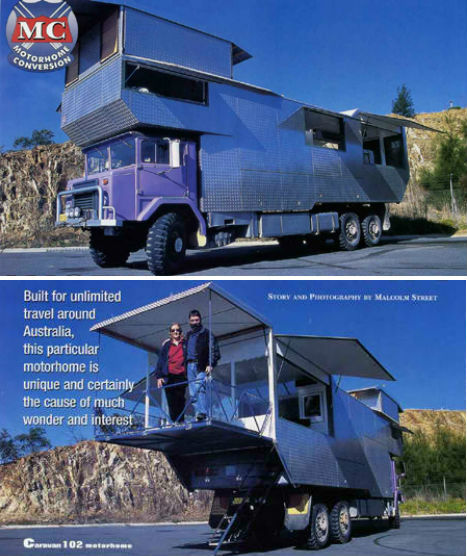 Na Australian photographer Rob Gray build this in 2006, when em want a home base while traveling the Australian wilderness taking nature photos.